Now that all teams have unveiled their 2017 challengers and the first winter test is underway, the return of Formula 1 feels imminent – and with a number of key changes across the sport introduced during the off-season, the expectations of this year’s Championship are running high. Will the regulation update bring out a new dominating outfit? Will the Formula 1 management reshuffle add drama to the on-track action? Bringing the biggest technical shake up since the arrival of the turbo-era in 2014 that singled out Mercedes’ challenger as an undebatable leader, 2017 promises to deliver faster and meaner machines. 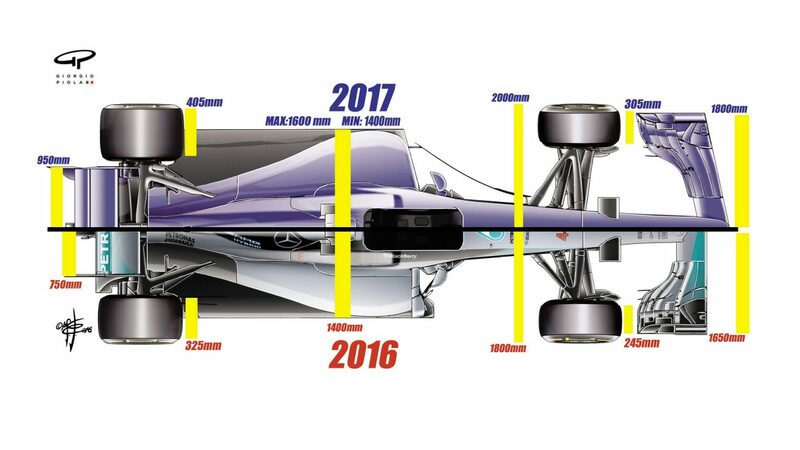 For the first time ever the aesthetics of an F1 car are given a clear directive in the sport’s regulations; after the disappointment of quieter (and whizzy-sounding) hybrid V6 engines, which also didn’t wow with speed, the 2017 challengers are already looking more aggressive – even if for the time being they remain static in their showrooms or somewhat cautious on their first on-track outings. “Let’s be clear, we’re looking at some huge regulatory changes ahead of the 2017 season,” said McLaren’s technical director Tim Goss. The key change here is the width: from rear to front, the whole challenger has grown sideways, but also lengthwise, with the back and front wings extended, and the diffuser longer and higher than before. What particularly stands out is the rear tyre (a 30% increase in width), completing the “more-like-a-proper-racing-car” look. The expected result of these seemingly cosmetic changes is increased downforce, and therefore speed – between 3 to 5 seconds faster per lap, according to the sport’s governing body the FIA, and the tyre manufacturer Pirelli. 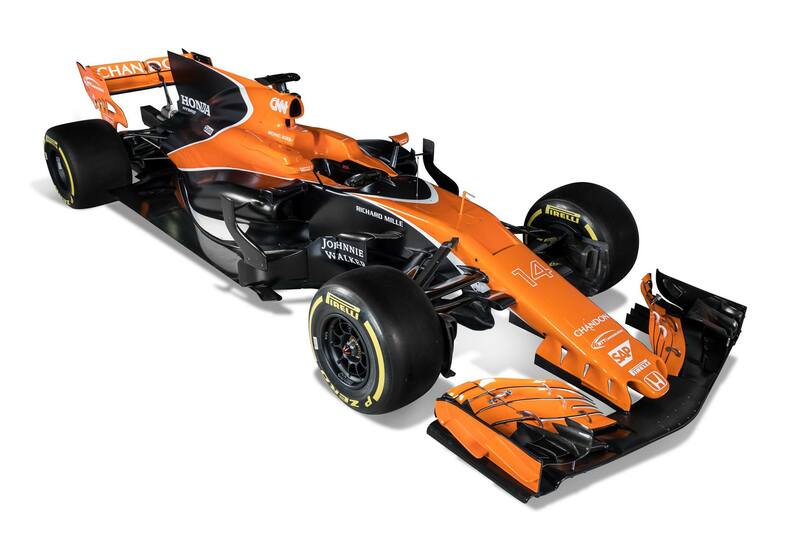 “These new cars will definitely look different, and that was always one of the objectives of the rule-changes,” Goss said. “The aim was to make the cars look more aggressive; to make them faster, so that F1 was very much at the pinnacle of motorsport in terms of outright speed, and to make them more difficult to drive. From 2017 wet races will feature a standing restart after the safety car period. Other technical regulation changes revolve around engines and power units – or, more specifically, their usage in the course of the season. While the engine token system is being scrapped from this year onwards (which limited the amount of development a team could do in the course of the season – a move aimed at reducing costs), the power unit limit per season (i.e. how many engine packages a driver can change penalty-free in the course of the year) is dropping from five to four. Additionally, even though this was not an issue for this year (unlike in late 2015 in case of Red Bull), any team that does not agree a power unit deal must be supplied by the manufacturer which supplies the least amount of teams (currently Honda). And more excitement will come from the revised race restart procedure: the new rules state that if the race starts behind a Safety Car (e.g. 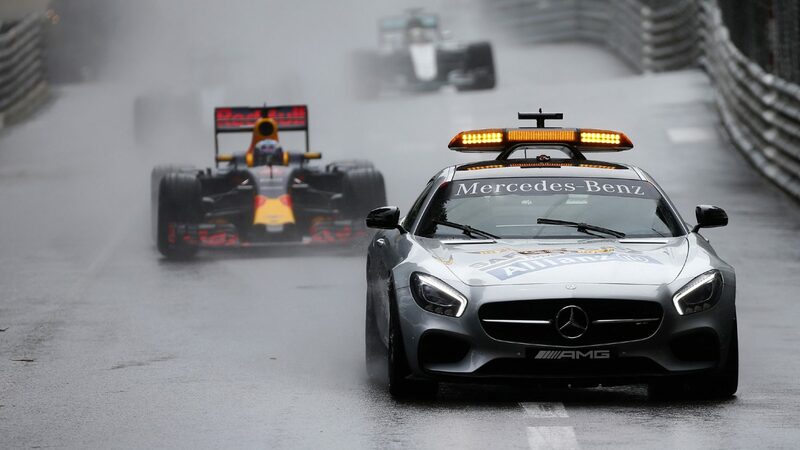 due to poor weather conditions, such as during the Monaco, Silverstone and Brazil GPs in 2016), a standing restart will follow; furthermore, teams will not be able to work on the cars if a race is red-flagged. Driver transfers are always an interesting talking point, but with this year’s technical regulations heavily influencing the handling of cars, there will be an added challenge for newcomers looking to “fit in” to their new outfits – but also the non-movers will be tested in their “meaned-up” machines. 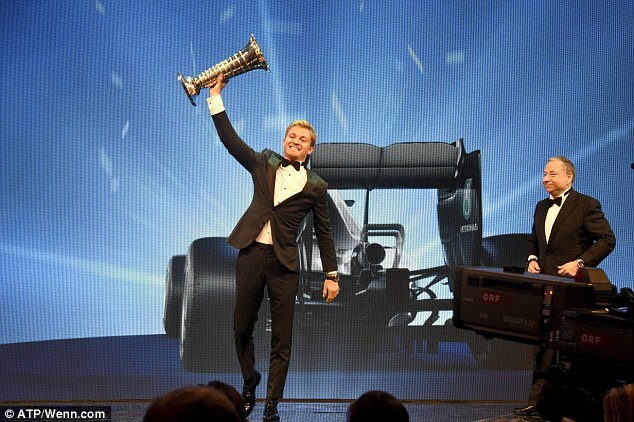 As Rosberg picked up the F1 Champion trophy, the questions about his replacement were already very much alive. The biggest shock in terms of squad changes was the prompt departure of the newest F1 Champion, Nico Rosberg, who retired from the sport less than a week after snatching the title in a gripping season finale in Abu Dhabi, with just 5 points ahead of his rival and then team-mate Lewis Hamilton. Out of the calamity that followed Rosberg’s untimely exit grew the even more nagging question: who will take his place, in the unbeatable Mercedes? McLaren’s only remaining driver for 2017, and a veteran of racing, Fernando Alonso was rumoured to have talks for the newly vacant seat – rumours which he recently confirmed, even though these talks came to nothing. The Spaniard remained in the British squad, which hopes for better fortunes this year with its fresh new orange challenger. Alonso will be accompanied by semi-newcomer Stoffel Vandoorne, who has already scored points for the team in his single outing last year, in place of Alonso himself when the Spaniard was absent from the Bahrain GP as a precautionary measure after this heavy crash in Melbourne. The Belgian is one of just two rookies in this rather transfer-heavy season: the other one being Williams’ ex-development driver Lance Stroll. His promotion came off the back of more monumental changes in the team: firstly, resident-F1-name Felipe Massa announcing his retirement – alongside another legend, McLaren’s Jenson Button – and then Valtteri Bottas being earmarked as the favourite for Rosberg’s precious seat. 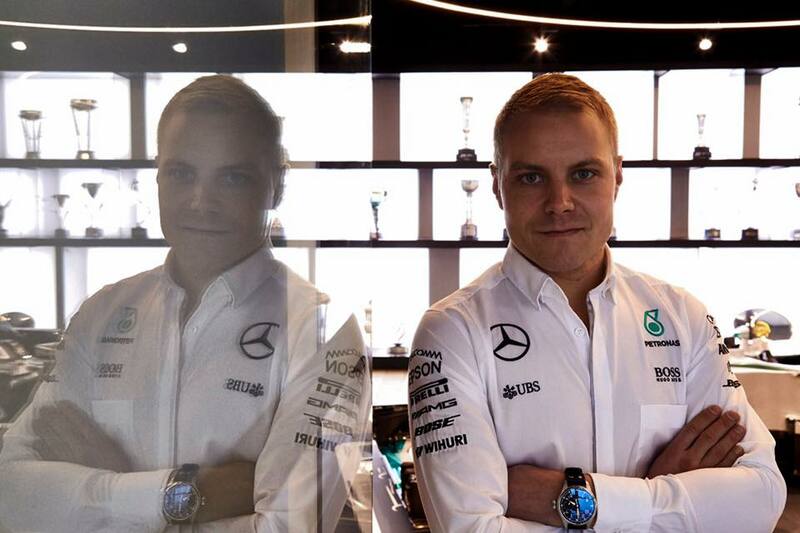 Worst kept secret: Bottas announced his move to Mercedes in mid-January via his social media accounts. These rumours turned out to be true, unlike Massa’s retirement – once the high-point-scoring Finn was out the door, Williams greeted the Brazilian back with open arms – and even allowed him to keep his leaving present (the car he raced in his home GP). Bottas’ announcement – albeit a safe decision by Mercedes, wanting little more to accompany their three-time champion Hamilton than a consistent flow of podium finishes – came as a disappointment to the drama-seeking F1 crowds – because none of the other inter-team movements promise much of it. 2015 Le Mans champion Nico Hulkenberg has made a sideways move from Force India to Renault, alongside 2016 rookie Jolyon Palmer, where he took the seat of Kevin Magnussen. Magnussen, in turn, moved to Haas to try and score more points for the sport’s newcomers, alongside the team’s favourite, Romain Grosjean. These transfers left the American outfit’s 2016 second driver Esteban Gutierrez without a seat this year. Another driver to depart the sport against his choosing is Felipe Nasr, whose former space at Sauber is now taken by the Mercedes-wannabe Pascal Wehrlein, who scored the only point for Manor in 2016. Manor’s single point at the Australian GP in 2016 was the team’s last memorable achievement before it folded. And another Manor rookie took over Hulkenberg’s empty seat at Force India – Esteban Ocon, who only entered the championship midway through last year, when Rio Haryanto’s funding for his seat dried up. 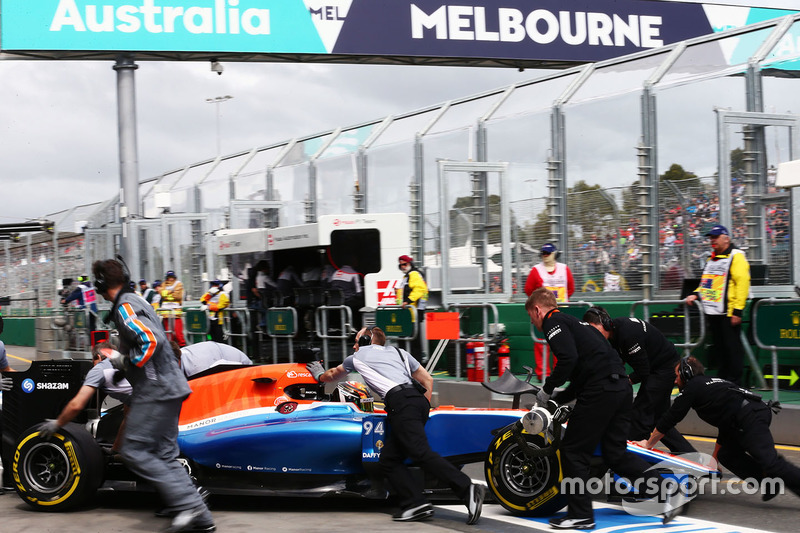 That funding – or rather lack of – drove the team to a sad end: at the start of this year it’s been announced Manor’s latest owners had gone into administration, leading to the outfit’s closure after only 6 years in the sport, and numerous buyouts. Manor’s departure means that – with the exception of Haas who joined only last year – Red Bull remains the youngest team on the grid (joined in 1997) – a grid that is now reduced to 20 cars. As for Red Bull, as well as their sister outfit Toro Rosso, and their biggest competitors in the hybrid engine era – Ferrari, stuck to their guns, with no driver changes for 2017. Of course, as 2016 taught us, with this lot nothing is set in stone – however, a repeat of the shock mid-season driver swap between the Reds and Rossos is rather unlikely, seeing that Max Verstappen has already delivered above expectations in the senior team – not to mention the brownie points he’s scored with the sport’s management with his fearless performances that have granted him numerous fan awards to date. Despite all the major rule and driver changes for 2017, maybe the biggest shock came with the fresh-off-the-press reshuffle of the sport’s management – and the departure of its most iconic figure. After 40 years with the sport Bernie Ecclestone makes a swift departure from F1. 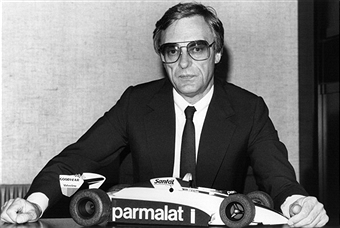 Pictured as owner of the Brabham GP team in 1983. After 40 years of running the sport, Bernie Ecclestone has been given the chop, departing within hours of the sudden media reports popping up in late January suggesting he was on his way out. The decision was made swiftly by the new owners of the sport, Liberty Media – just one week after taking over, to be precise. 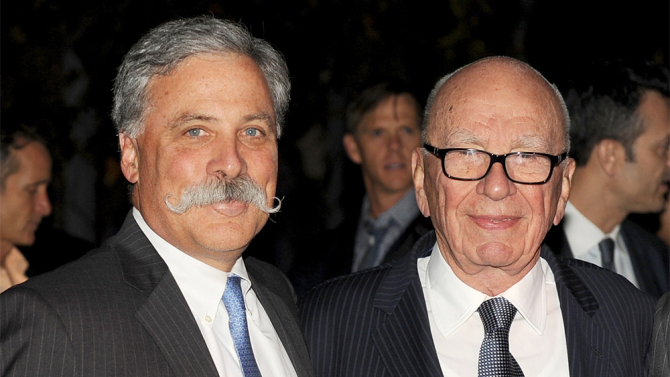 While the new chairman of the sport, Chase Carey (former COO of News Corporation and co-creator of Fox Sports and FoxNews) takes the helm as the new CEO, Ecclestone has been handed the role of chairman emeritus, as a source of advice to the new owners – but not directly involved in the decision-making process. And the former driver and team owner made some monumental decisions since he took the helm of the Formula One Group; so much so, that he is being attributed turning the sport from an enthusiasts’ pass-time to a global money-making machine – primarily thanks to pioneering the sale of TV rights to the sport, and the subsequent rise in commercial rights charges ever since. But these same charges have had a counter-effect on the audiences’ engagement in recent years, as the lack of particularly exciting races (or loud engines, or controversial characters) has not encouraged ticket sales from live attendees, nor TV subscriptions from those tuning-in. This, in turn, led to the decline of audiences for some of the grands prix on the ever-growing calendar of events – and also led to Ecclestone threatening the future of these “underperforming” races. Some other wacky Bernie ideas that had seen the light of day only on paper were randomly-timed sprinklers on track to simulate a wet race; introduction of mandatory pit stops for winning drivers; or addition of shortcuts to tracks that drivers could use a limited number of times during a race, to name a few. “I’m proud of the business that I built over the last 40 years and all that I have achieved with Formula 1, and would like to thank all of the promoters, teams, sponsors and television companies that I have worked with,” Ecclestone said after his demotion. The quick cutting the cord on Ecclestone might be the safest decision by Liberty, who – unsurprisingly for an American TV corporation – want to develop the fan side of things from day one – including increased social media, promotion and marketing investment… as well as protecting classic tracks. 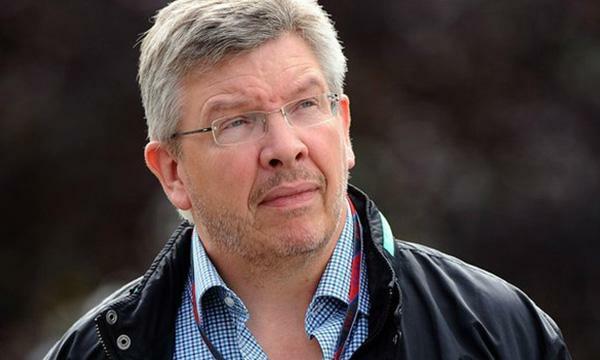 But while one great thing ends another begins… and Bernie’s departure has somewhat made way for the long-awaited return of another F1 in-house name: Ross Brawn. After 3 years in dubious retirement, the ex-team principal of Benetton, Ferrari, Brawn GP (all Champions under his management) and pre-turbo Mercedes has now taken over the newly created role of managing director of motor sports – focusing purely on the sporting side of the championship, rather than commercial matters (which is now the headache of former ESPN president, Sean Bratches). Whether or not that is the case, if the Silver Arrows’ current winning streak (widely attributed to the foundations laid by Brawn ahead of the turbo era) is anything to go by, we might be in for a good year for the sport – but only time will tell whether the new direction F1 is taking is set for success. Tune in from 24 March to find out!